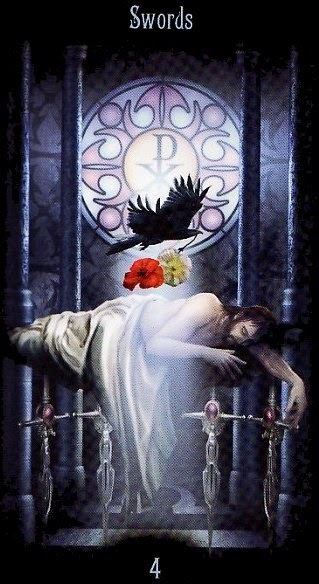 The Four of Swords card suggests that my power today lies in recovery. Our mutual losses or experience deserve to be acknowledged or remembered with dignity, honor, and respect even as we regroup to move forward. I am willing to work on forgiveness and letting go of the past in order to find peace. It's time to give it a rest. I am empowered by stillness and my virtue is silence.